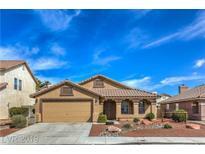 Below you can view all the homes for sale in the Pipers Glen subdivision located in North Las Vegas Nevada. 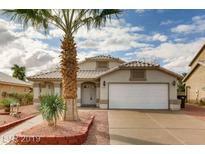 Listings in Pipers Glen are updated daily from data we receive from the Las Vegas multiple listing service. To learn more about any of these homes or to receive custom notifications when a new property is listed for sale in Pipers Glen, give us a call at 702-323-5963. This Home Is A Must See! MLS#2089034. United Realty Group. 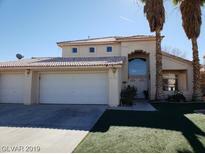 Lovely backyard with large covered patio, artificial grass & separate casita. All appliances included. MLS#2076697. First United Management Group. 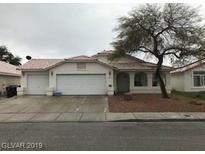 Cabinets in garage, Front yard has Low Maintenance Desert landscaping, Back yard fully landscaped along with Shed MLS#2079899. Horizon Realty Group. This Home Is A Must See! ! MLS#2077539. Rezults Realty. Graceful Easy Living Boasts Flexible Floorplan*formal Living/Dining Or Great Room*large Kitchen Delivers W/ New Appliances, Breakfast Bar, All Open To Family Room For Easy Entertaining*separate Master Suite W/Walk In Closet, Separate Soaking Tub & Shower, Dble Sinks*3 Oversized Bedrooms/1 W/Dbl Doors Could Be Den, Office Or Theatre Room*covered Patio In Large Backyard Takes This One To The Top Of Your List* MLS#2066636. Redfin. Laundry Shoot Located Upstairs In Hallway Cabinet MLS#2063114. Platinum R.E. Professionals. Open Kitchen/ Breakfast Bar & Attached Dining Rm/ Tile Counters, Oak Cabinets, Blt-In Desk/Appliances Included, Private Oasis/Covered Patio/Blt-in BBQ/ Putting Green, Mtn Views,NEW PICS SOON MLS#2056800. Vegas One Realty.